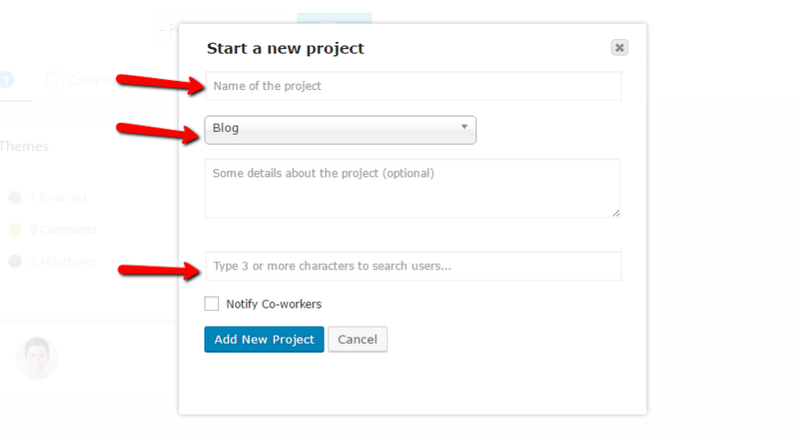 Ever wondered if you can use WordPress for project management? Nowadays, it seems like WordPress can be used for pretty much everything…so do those capabilities actually extend into project management? Yup! 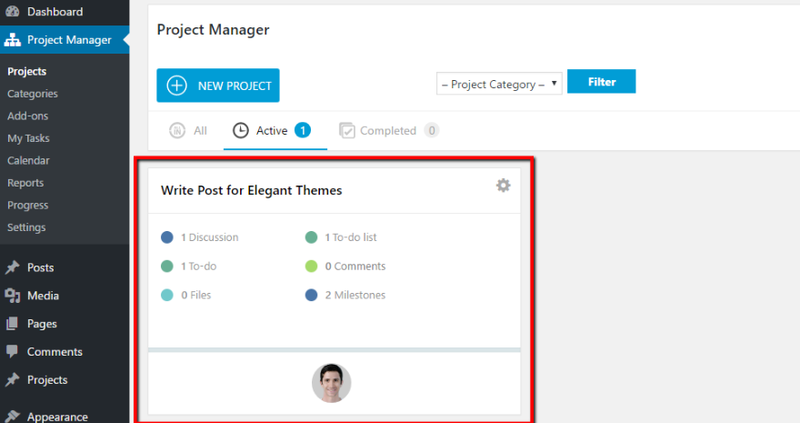 With a freemium plugin called WP Project Manager, you can turn WordPress into a project management tool for you and your team. And in this post, I’ll give you a quick walkthrough for how you can do just that using the free version of this plugin. Why Put Project Management Inside WordPress? You probably already have at least an inkling of why project management is important. It’s all in the name! That is, it helps you manage projects better so you’re more productive and effective in your work. But there are plenty of third-party project management tools. 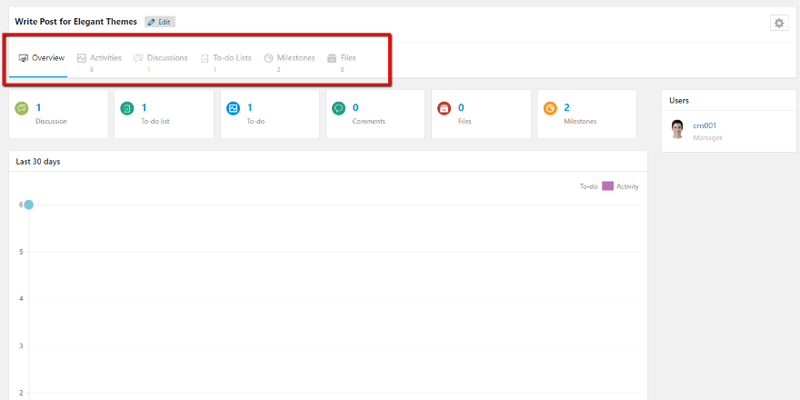 So why use WordPress for project management? In the end, it really comes down to convenience. Even though it might only take a few seconds to switch between your WordPress dashboard and a third-party project management tool, those seconds add up over time. Convenience is the reason that CoSchedule’s WordPress plugin has over 10,000 active installs…despite CoSchedule having a fully-functional standalone dashboard. If you’re already using WordPress, it’s just plain nicer to have everything integrated into one package. Especially if you’re working with teammates. For example, instead of needing to create duplicate accounts for everyone, you can just utilize the same WordPress accounts that already exist. 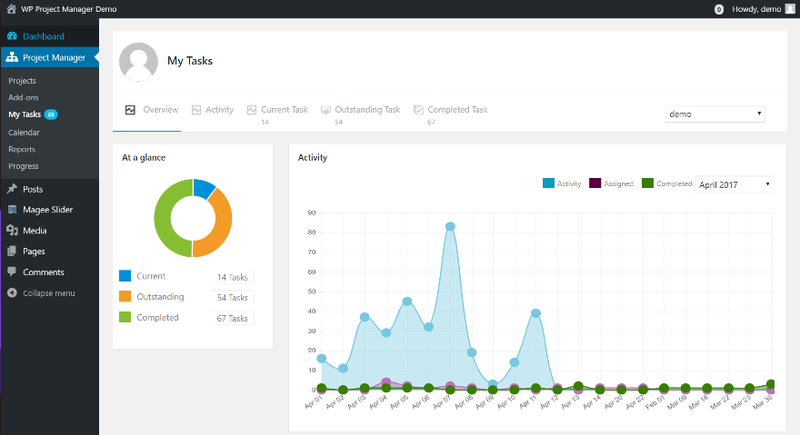 WP Project Management is a freemium project management plugin that fits entirely inside your WordPress dashboard. I’ll show you how to get set up using the free version of the plugin that’s available at WordPress.org. For lightweight project management, the free version is solid. But otherwise, you’ll probably need to pay (I’ll talk about why that is later on). It’s also worth noting that the plugin has mixed reviews. In playing around with the free version, I didn’t encounter any issues. But there are a number of complaints in the WordPress.org support forums (though WeDevs is usually quick to address those complaints). And finally, because WP Project Management works pretty much entirely on the backend, it should play nice with almost any theme. Just to make sure, I did all my testing using a site running on Divi. 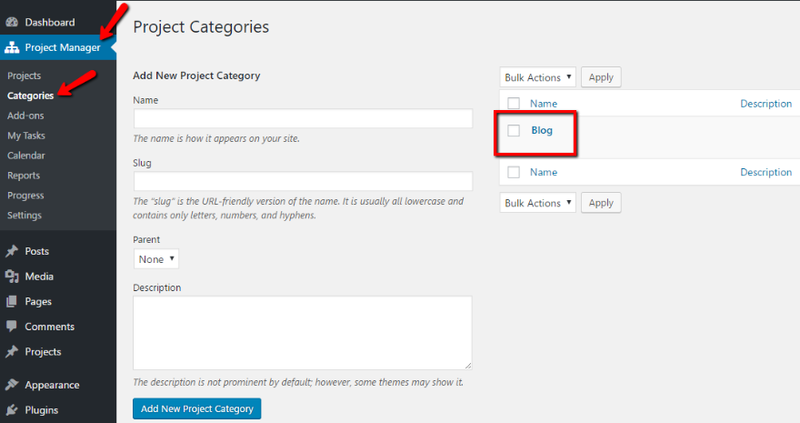 Once you install the plugin, your first step should be to set up categories for your various projects. While there is a Settings tab, there’s not really anything that needs to be configured. So you can jump straight into the other stuff. Let’s go through each tab because that’s where the project management happens. 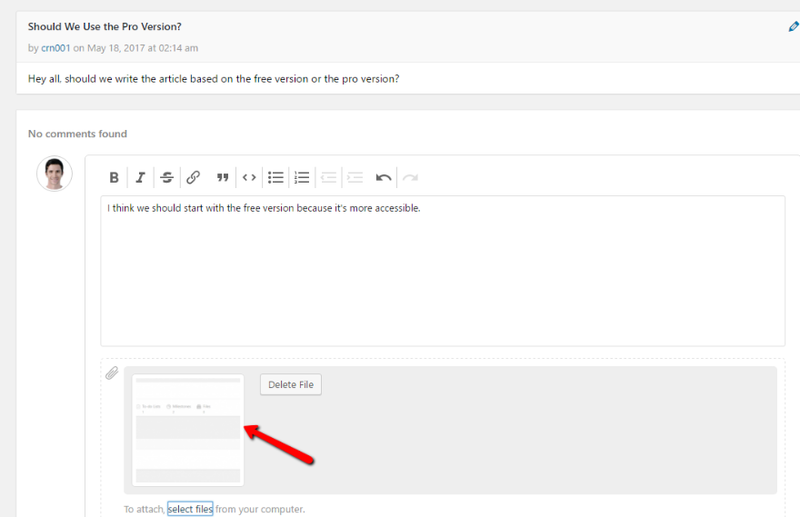 Users can even attach files to their comments. The next two tabs, To-do Lists and Milestones, help you add tasks and deadlines to your project. Additionally, if you assign a task to a user, they’ll automatically get an email about the new task. As far as the free version goes, that’s pretty much the extent of the functionality. You can add as many projects as you want and, as far as managing individual projects goes, it’s still helpful. However, the free version is limited when it comes to working across multiple projects. For example, there’s no way for an individual user to view all of their assigned tasks across multiple projects in the free version. In the free version, users can still see their assigned tasks if they specifically go to the To-do List tab. But there’s no unified dashboard like in the pro version. Additionally, you have no calendar view and you lack detailed reporting about your productivity and project status, both of which are available in the pro version. What All Is In The Pro Version and Add-ons? Most of the extensions cost $29 each. The pro version starts at $59 for a single site license. 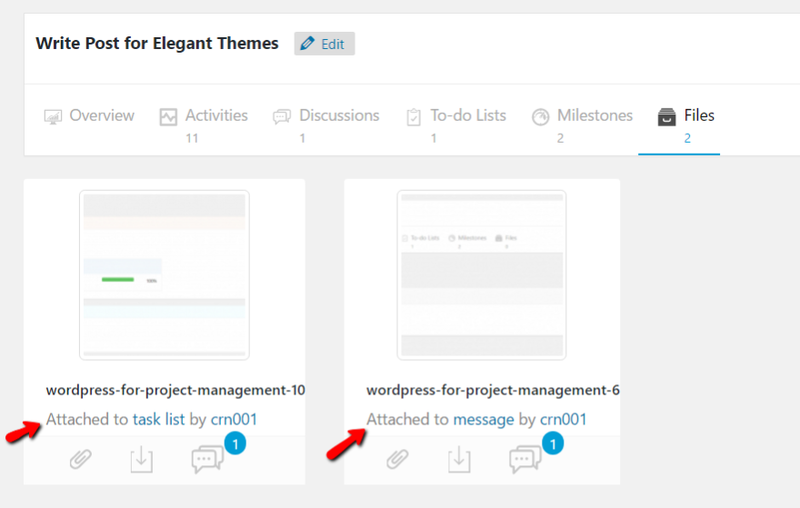 WP Project Management is a neat way to use WordPress for project management. While it does have some mixed reviews, I didn’t encounter any bugs in setting up a single project and found it easy to use. My use was limited, though. The free version is helpful for small projects, but if you want a serious project management tool, you’ll probably need to purchase the pro version and some of the associated add-ons. Now over to you – would you ever use WordPress as your project management tool? Or do you prefer to use the third-party solutions? This WP Project Management plugin has mixed reviews. Not sure if I’m 100% comfortable with it. Thanks for the review and info. I was wondering if you had considered writing one on Zapier, which can take wordpress posts and drop them into some very good PM apps? Hi, thank you for the beneficial post. I was looking for a good one. I’ll test it. Nice review but how would the client view his/her project to see the progress chart/sheet? Looks like there is a separate permission settings for clients as well. They seem to be able to create stuff as well if needed given the settings enabled. I played around with several PM plugins in the past. I really like Project Panorama. still no mobile blog fix….. wth is going on… completely unreadable on my lg g4….